Everybody loves to listen music. Everyone will agree with me on this. People love to listen to music while Gyming, gaming, working, studying, blogging and much more. But it might be impossible for everyone to get internet connectivity everywhere. It means you must need offline music apps to listen to music offline. 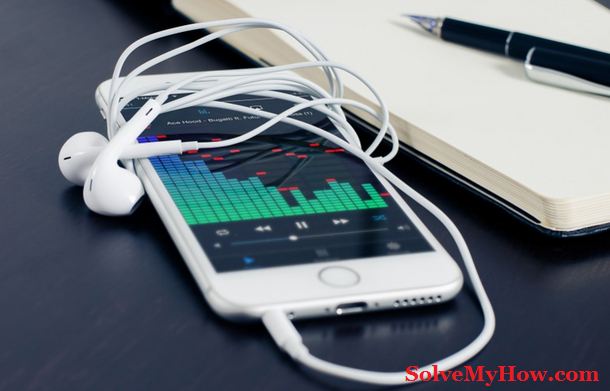 There are lots of music apps to listen to offline music but in this post, I’ve collected and personally tested 5 best offline music apps. I also make sure that these are free offline music apps. So everyone can utilize these apps very well. Not only that, I have also make sure that you can stream music offline without internet in not only Android smartphones but also in iPhones. So let’s get started with the best offline music apps. Google Play Music is the most popular app for offline music. Android users are already using this app as it comes default with the Android smartphones. With Google play music one can enjoy and listen to offline music easily. Users can also enjoy radio. Google play music can be easily synchronized with your iOS device also. If you’re already using this app. Do let me know your feedback in the comments below. iHeartRadio is getting really popular these days. If you’re music lover you must have already heard the name of this app. This is indeed the top most music streaming application available on all major platforms. iHeartRadio will give you the access to the over 800 radio stations which been hosted in US region. Not only that, this will also allow users to create their own custom stations based on artists/bands or songs. Slacker radio app is one of the top music streaming apps which can also be used to play offline music without the internet connection and its serving to millions of users. The best part about this app is it's pretty easy to find your favourite songs according to different genres and artists you wish. Just like iHeartRadio, Slacker Radio will also let you create your own custom station. Slacker Radio is free and gives you subscription access to millions of songs. SoundCloud is the giant repository of music! All sort of musicians must have uploaded their own mixes and tracks in SoundCloud. Undoubtedly, SoundCloud is one of the best music streaming app/best offline music app where it hosts millions of songs and music. You just need to create your account on SoundCloud. By signing up on free music offline app you will get access to your favourite music. Saavn is another best free offline music player app for Android and iOS users. You can enjoy latest Hollywood, Bollywood, Hindi as well as English songs for free. You can also play other regional songs on saavn app. It allows you to find your favourite music on your device and let you listen to music even when you don’t have an internet connection. So Saavn is last but not the least free music offline app in the list. You must try it. It's free! So these were the best apps that let you listen to music without wifi. I hope you enjoyed reading 5 free offline music apps. Which app you are going to download first? Do let me know in the comments below! You can also subscribe to SolveMyHow newsletter to get latest updates about iOS and Android apps and hacks.